During the 2009 Session of the General Assembly, Senator Floyd McKissick(D) from Durham County introduced the Racial Justice Act SB461. The act provides a process by which statistical evidence could be used to establish that race was the basis for seeking or obtaining the death penalty in any case. The Act allows pre-trial defendants and inmates on death row the opportunity to challenge the decision to seek or impose capital punishment. Created by the State of North Carolina in 1792 as a planned capital city, the area encompassing present-day Raleigh, North Carolina had a handful of sparse colonial settlements as early as the 1760s. Enterprising landholders named Isaac Hunter and Joel Lane purchased large tracts of farmland in the area. Near their homes, they operated taverns and ordinaries for travelers on the main north-south route, cutting through central North Carolina. Called Wake Crossroads, this primitive outpost initially served as the county seat for Wake County, North Carolina. 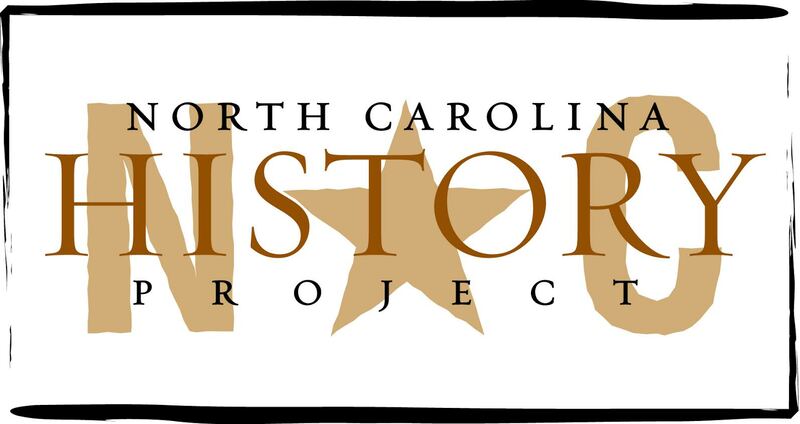 It was established in 1771 and provided a foundation for Raleigh’s future development twenty years later. Annexed from Guilford, Randolph County was formed in 1779, and named for Peyton Randolph, a Virginian who once presided over the Continental Congress. On October 8, 1826, Matt Whitaker Ransom was born in Warren County. After graduating from the University of North Carolina and studying law, Ransom started to practice law in his hometown. Ransom served as a general during the Civil War, after which he served in the Senate for over twenty years, becoming the president pro tempore in the 53rd Congress. Resulting from nationalists’ claim that the Articles of Confederation was too weak, a more powerful central government was proposed. In Philadelphia during the summer of 1787, Constitutional Convention delegates drafted the U.S. Constitution and submitted the document to the states for ratification. In North Carolina, the document was neither approved or rejected at the state’s first convention, the Hillsborough Convention of 1788. The following year, delegates met at the Fayetteville Convention and ratified the Constitution. North Carolina had joined the Union. Born in Gastonia, North Carolina in 1920 and graduating from Belmont Abbey College near Charlotte in 1939, Ralph Ray, Jr. was a distinguished artist of portraits and landscapes and a nationally known illustrator of magazines and books. A list of scholarship on Reconstruction in America and North Carolina. Tar Heels may be surprised to learn that North Carolinians, with opposing opinions, once unfortunately settled their political debate on an actual battleground—the Battle of Alamance (1771). The last commander of Fort Fisher before its surrender to Union forces, James Reilly’s postwar years reveals the bond that many former Confederate and Union soldiers exhibited during the 1880s and 1890s. They had declared an ideological truce and recognized each other as Americans and the bravery that each side had shown approximately 30 years prior. Republicanism is a term for beliefs that have defined the American political experiment. In particular, republicanism stems from a form a government where the people are sovereign. In such a government, virtuous and autonomous citizens must exercise self-control for the common good. Republican citizens should not seek office or use public office for economic gain. Public officials must subordinate their personal ambitions for the good of the community. A republican citizen also must be prepared to thwart corrupting influences that would lead the nation toward tyranny or despotism. Republicanism is based on the assumption that liberty and power continually battle. Residential segregation is the phenomenon of individuals of a particular ethnicity inhabiting dwellings in a particular area. Though residential segregation of whites and African-Americans was enforced by law in many major U.S. cities, government enforcement of residential segregation in the United States ended after the Supreme Court issued its ruling in the 1948 case Shelley v. Kraemer. Residential segregation has nevertheless persisted as a sociological phenomenon in the United States, even after its legal basis has ended. With an ocean to the east and in the west, North Carolina has long been a popular tourist attraction. Mineral springs in the mountains, for instance, attracted medical patients during the 1830s, and after word spread of the beautiful western landscape, tourists flocked to the state to vacation. In the piedmont region, golf resorts have been a favorite for sport enthusiasts from around the world. On the coast, Nags Head, Morehead, and Wrightsville have long remained resort towns in North Carolina. Restrictive covenants are clauses in property deeds that contractually limit how owners can use the property. Use of these covenants in property deeds remains widespread. During the early-twentieth century, however, they were used in the United States as instruments of residential segregation. By stipulating that land and dwellings not be sold to African Americans, restrictive covenants kept many municipalities residentially segregated in the absence of de jure racial zoning. Rev. Daniel Earle from Edenton publicly stood against Britain and their infractions of the rights of free peoples. As the sixth of 16 children, Richard Joshua Reynolds left his small Virginia town at an early age to establish his own company. At the age of 25, Reynolds opened a chewing tobacco manufacturing company in Winston, North Carolina and quickly became a pioneer in the industry. He anticipated the growth in the smoking tobacco market and developed a line of pipe tobaccos. In 1913, he introduced Camel, the first American blend cigarette. His innovative branding and marketing strategy set the industry standard. Robert Rice Reynolds (1884-1963), popularly known as “Buncombe Bob,” represented North Carolina in the U.S. Senate from 1933 until 1945. The flamboyant Reynolds began his political career as a staunch New Dealer before turning to isolationism and extreme nationalism. Richard Caswell was not only one of the first of delegates chosen to represent North Carolina at the first Continental Congress but he was also the first and fifth governor of the Tar Heel State. Annexed from Anson County in 1779, Richmond County was named in honor of the American colonist supporter, Charles Lennox, the third Duke of Richmond. The North Carolina Motor Speedway in Rockingham was once a vital tourist attraction in the county, and the National Railroad Museum and the Hamlet Opera House continue to attract people from across the state and the nation. Notable Richmond County natives include jazz musician John Coltrane, and politicians Alfred Dockery and Camerson Morrison. As a prevalent burial place for prominent North Carolinians, Riverside Cemetery continues to keeps the stories of Zebulon B. Vance, Thomas Wolfe, and O. Henry accessible to onlookers and history enthusiasts. Riverside Cemetery, an 87 acre burial plot, overshadows the French Broad River, attracting numerous tourists to its serene landscape. The cemetery was founded in 1885 and it has since remained an important cultural and historic venue in Buncombe County. Parker David Robbins (1834–1917) Inventor and public servant Parker David Robbins was born near the Chowan River in northeastern North Carolina, on July 5, 1834, and died in Duplin County, North Carolina, on November 1, 1917. Robert Brodnax Glenn was the governor of North Carolina from 1905-1909 and was known as the “prohibition governor." R. Gregg Cherry hails from Gastonia, North Carolina and served as governor of the Tar Heel State from 1945-1949. The home of the Lumbee tribe and the Lumber River, Robeson County is the proud home of Native Americans who have resided there for centuries. Annexed in 1787 from Bladen County, Robeson’s county seat is Lumberton; it is named after the Lumber River. Angus W. McLean and Henry Berry Lowrie are two famous natives of Robeson County. Formed out of Guilford County in 1785, Rockingham County was initially inhabited by the Cheraw Indians and later by the English, Germans, and Scotch-Irish. Its current population is approximately 92,000. Although not the county’s largest town, Wentworth serves as the county seat. Founded in 1753, Rowan County became an important political and economic center for western North Carolina during the 1800s. Salisbury, the county seat, housed the only Confederate prison in North Carolina during the Civil War, and the Gold Hill community once served as a vital mineral source during North Carolina’s gold rush. Catawba College is located in Rowan, and many famous North Carolinians were born in the county. Vermont Connecticut Royster (1914-1996) served as editor of the Wall Street Journal from 1958 until 1971. He helped make the Journal’s editorial page a forum for conservative thought. His Pulitzer Prize-winning editorials used folksy, plainspoken language to express his individualist philosophy. Born in Wilmington, North Carolina, in 1915, Robert Ruark became one of the state’s most prominent writers during the 1940s and 1950s. A graduate of UNC-Chapel Hill, Ruark wrote for local newspapers until he moved to Washington, D.C. In the mid-1940s, Ruark gained popularity for his Washington Daily News columns, and he started writing fiction novels. His most popular work was Old Man and the Boy (1957), a semi-autobiographical work that details Ruark’s childhood with his grandfather in Southport, North Carolina. Thomas Carter Ruffin served as Chief Justice of the Supreme Court of North Carolina from 1833 until 1852. Now regarded as one of the most important jurists in American history, Ruffin was a powerful exponent of judicial independence, though his renown stems largely from the reviled opinion that he rendered in the case of State v. Mann. General Griffith Rutherford led a short but destructive march against the mountain-dwelling Cherokee in September 1776. Although casualties were relatively low on both sides, Rutherford’s army razed over thirty important Cherokee communities causing tribesmen and women to flee the mountains and start life anew elsewhere. Some historians claim that had the Cherokee recovered and fought with the British during the Revolutionary War, the conclusion may have been different.